Noted veterinarian and dog trainer Dr. Ian Dunbar offers a few of the “million different ways” to train a dog, outlining three simple strategies. EG is the celebration of the American entertainment industry. Since 1984, Richard Saul Wurman has created extraordinary gatherings about learning and understanding. EG is a rich extension of these ideas – a conference that explores the attitude of understanding in music, film, television, radio, technology, advertising, gaming, interactivity and the web – The Entertainment Gathering Dr. Ian Dunbar is a veterinarian, animal behaviorist, and writer. 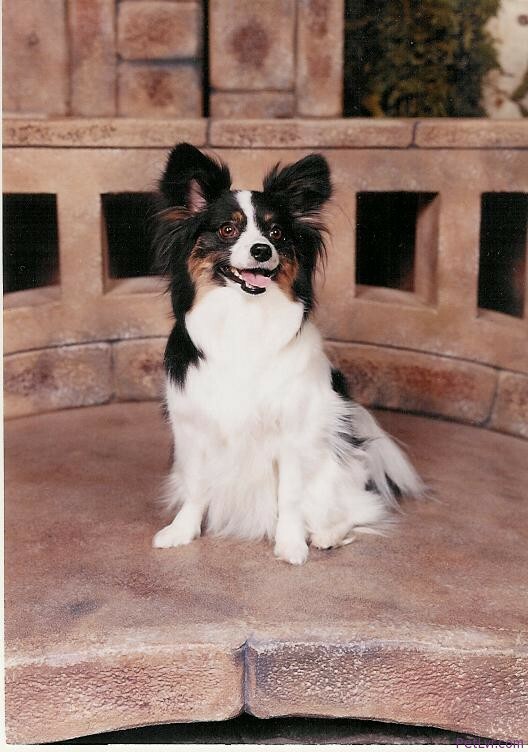 Dr. Dunbar received his veterinary degree and a Special Honors degree in Physiology & Biochemistry from the Royal Veterinary College (London University) and a doctorate in animal behavior from the Psychology Department at the University of California in Berkeley, where he spent ten years researching olfactory communication, the development of hierarchical social behavior, and aggression in domestic dogs. Dr. Dunbar has written numerous books, including How To Teach A New Dog Old Tricks, the Good Little Dog Book and a series of Behavior Booklets: separate educational booklets on each of the most common pet behavior problems. Additionally, Dunbar has hosted eleven videotapes on puppy/dog behavior and training, including SIRIUS ® Puppy Training, Training Dogs With Dunbar and Every Picture Tells A Story. All his videos have won a variety of awards. Teach your Parrot to say Hello! Being the Alpha means being calm and assertive… Police, pilots, and really any leadership role requires one to keep cool and in control while commanding or performing… The most effective leaders be they in a pack or landing a plane in trouble, managing a crisis or the daily hunt will be calm, in control and assertive. because anything less shows weakness and nature attacks weakness because survival requires inner strength not inner weakness. Best video on youtube! I watch it several times just to remind myself! Thanks you so much Mr. Dunbar! @trondyne I’ve never seen a “calm and assertive” police man in my whole life. ACAB. Actually, Ian Dunbar works with very very aggressive dogs. You should look up the bite scale that doctors use to evaluate dog bite cases. You will see that Ian Dunbar made the scale. SO if anyone knows about aggression in dogs, and we mean severe aggression, it would Ian Dunbar. @SophiaRoseThePuppy So what do you suggest somebody should do when their dog is busy trying to attack somebody? Do you think luring the dog away with a treat would work? 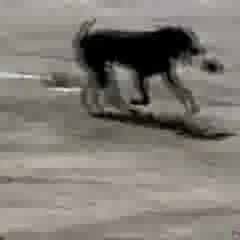 @animalobsessed1 If your dog is busy trying to attack, you probably already tried other methods beside positive reinforcement because aggressive trainers generally have more aggressive dogs. A dog that is attacking should be immediately removed by as humane method as possible. It could be noise, water, blanket over the dog, whatever. When you finally set about to modify that dog’s behavior so that it does not continue to behave in that manner, you are better off with science-based t raining. @trondyne If it’s good to be calm and assertive when dealing with dogs, then why does Cesar Millan always degenerate into being *authoritarian* instead???? @trondyne Sorry, I don’t buy it. While there are some things on which the two men might agree, from what I’ve seen on the TV show, most of the dogs that Cesar deals with are fearful. In fact, the aggression that arises out of fear is the most common, since 80% of all aggression is rooted in fear. To label dogs “red zone” is just a marketing tool to make him seem more powerful than he is. Truly, good behavior modification is as boring as watching paint dry, so he has to use hype for ratings. Degenerate into authoritarian? This just shows me you have no understanding of this material.. Pack Leader IS the authority figure in the pack… Nothing else need be said and the fact that you don’t see that speaks volumes and explains why you parrot what you read but fail to understand… If you don’t see PL as the key role then argue with mother nature. Let’s see the opposing POV people (whatever they advocate) deal with the extreme cases instead of symptoms…. No that’s NOT what Alpha means, This tells us that you don’t understand the term. In nature the alpha leads with a calm assertive demeanor and even when a correction (bite) is used it’s not to “hurt” it is used to communicate dominance–mother does this as well–DOGS ARE NOT PEOPLE–they don’t use words, they use their bodies to communicate. The opposition wants dogs to be people..and Cesar has shown that this is actually what causes most problems in the first place. NEWS FLASH: Cesar does use Science = empirical knowledge re the subject that he has gleaned from observing animal behavior and he is always working to improve his approach..
@trondyne Oh come on, the world of canine behaviour is a lot bigger and more complex than Cesar Millan. 95% of what he says is old-style theory, most of which has been proven to be incredibly simplistic and not accurate. The other 5 % (exercise, discipline and affection) is obvious: dogs need exercise, and any affection should be given at calm times or as a reward for specific behaviours. Sorry, that’s not what Alpha means. Canines don’t form dominance hierarchies. I have proof- do you? No. You have no idea what leadership is, calm assertive is primal, in animals and in humans. Cesar uses canine language.. His read on dogs is one of the best in the business. Many pros like him, most wont go off the deep end saying PL doesn’t exist, its utter BS. Put your money where your mouth is buddy. Cesar puts himself out there dealing with dangerous dogs and helping them. There are better ways? Ok. So show us all the videos out there where folks are helping DANGEROUS dogs using the “enlightened” approach.. Let’s see the videos… Site specific examples of Cesar’s way and the “better” way.. There must be lots of them out there right? BS… Lots of examples of “experts” telling people there is “no fix”. 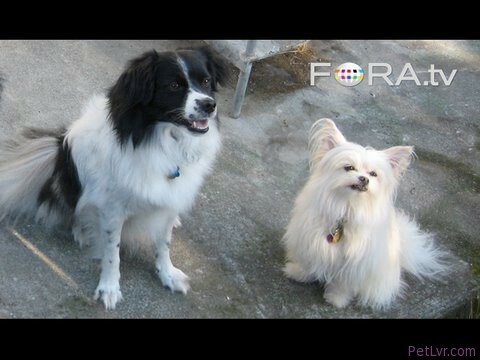 Respond to this video…Pet dogs seldom form groups as they are living on their own with humans. Whenever they do its fleeting groups- at the dog park, at someone’s house, on holiday. For dogs that are in a group (say a group of 12 pet dogs in one home) there is a hierarchy- but that doesn’t make it dominance. Dominance is a specific term used in ethology to describe groups that fight for resources e.g. walruses or impala for mating rights. They are not families but unrelated groups. @sequoyahbean If I notice that she´s about to attack another dog I can stop her, and then make her walk past the other dog without even needing a leash. I only use a leash in extreme cases because I don´t believe in using force to control animals. The problem is that normal people are completely clueless, so when I am at school and my dad tries to walk her, that´s when things get out of hand. It’s the parents? And when there are no parents? This happens all over the place where dogs run in packs in addition to actual wild dogs, there is most certainly a pack leader… Dogs have this hard wired direct from their ancestors for anyone with eyes to see.. Dogs are constantly challenging each other to find their “number” in the pack to see who is more dominant.. The communication that Cesar reads and uses in his work is spot on for anyone with eyes to see. You are ascribing a theoretical norm to what you term “domestic” dogs. Dogs in the wild are hunters–you can watch them. Dogs like any social predator they have a pack leader who is dominant. The conversations that Cesar has with dogs can be seen in action. Bottom line is that Cesar’s way is valid to the extent that he is consistently getting dogs to do what he wants through communication that is based on how the dog’s brain is wired. If you are not the PL your dog is.